The Dulles Greenway is privately owned and operated. The owners now oppose a set of bills in Richmond that would either provide guaranteed rate increases for only 10 more years or more significantly overhaul the regulations governing the road. 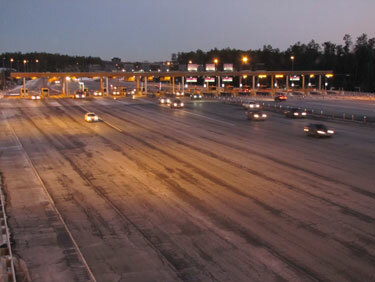 WASHINGTON — Facing stiff opposition from Loudoun County leaders, the owners of Virginia’s Dulles Greenway said Monday they will no longer push for a bill in Richmond this year that would allow consistent toll increases for years along with limited distance-based tolling. “Without the required level of support from elected officials in Loudoun County we do not believe it is appropriate at this time to continue to pursue passage of the legislative framework needed to put this plan in place during the 2019 General Assembly Session,” said E. Thomas Sines, chairman of the Greenway ownership group TRIP II. Without decades of set guaranteed increases they had asked for, nor distance-based tolls set at at least $1 per mile, the road’s owners said Monday they would not install $30 million in tolling upgrades that would allow for limited distance-based tolling. The legally guaranteed toll rate increases on the Greenway, which are locked in at the rate of inflation (as measured by the consumer price index) plus 1 percent, are due to expire next year. The Greenway had sought to extend that set rate increase while also adding distance-based tolling outside of rush hour that would have limited some of the future increases for very short trips. Other bills could be introduced in Richmond next year following the November elections for all 140 seats in the General Assembly and the Loudoun County Board of Supervisors. If there is no change in the law, the Greenway could apply to the State Corporation Commission for future increases. Loudoun County leaders have vowed to push back in any rate application case. In the past, the Greenway applied for increases around every three years, but they would be able to apply for increases more frequently if none of this year’s bills become law.